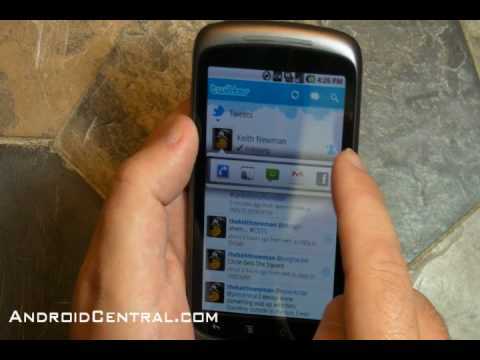 Twitter - Soft for Android– Free download. Twitter - Over share with the world, 140 characters at a time. Twitter for Android is ...well ...Twitter. But in case you've just crawled out from under a rock, let me elaborate. Twitter is a social media website that millions upon millions of people use (probably billions) every day to share ...well, typically useless and redundant things about their life. Like, right now, I have to go to the bathroom. Or, today I ate a sandwich. Occasionally, however, the things people say on Twitter actually matter. Like when all that uprising was happening in Egypt and citizens took to Twitter to save lives and impact change. Paris Jackson used Twitter to reach out to the world when her grandmother went missing, and that really shook things up for the Jackson family household. So once in a while, Twitter can be invaluable and impact change and good in the world like no other. But mostly, it's people sharing stupid things they should keep to themselves and that no one really cares about. This app brings all the power and redundancy of Twitter to your Android gizmo. You can send Tweets, look up friends, stalk a famous celebrity or just lurk around and be envious of all the fun everyone is having while you sit and do nothing but read about it. The app functions ok, but is notoriously glitchy. My tablet crashed when I first tried to open in, and that's pretty much par for the course with Twitter. I think if you're going to tweet, this is the app to get. But there are several unbranded apps out there that seem to work just as well, if not better. One thing I don't get about Twitter, is you always hear the news say "so-and-so took to Twitter and..." I don't get why everyone universally describes a Twitter rant and "they took to Twitter" but that's how it is. Twitter can be fun, but I think I'm part of the minority that finds it deathly boring. This app is decent, but riddled with glitches, as it always has been. But if you're going to Tweet, this is probably the app to do it with. what happens when you try to install?